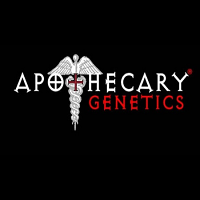 The extra week or two ensures complete development of her terpenes and cannabinoids. You don’t want to lose a single drop of flavour! 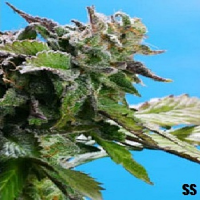 The masterful blend of genetics that has led to the development of Sweet Zkittlez represents just how far cannabis cultivation has come. Despite her indica dominance, Sweet Zkittlez keeps her effects firmly focussed on the mind, not the body. 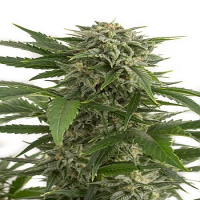 Typically, indica strains centre on providing relief to aching muscles with a mild feeling of euphoria. Sweet Zkittlez flips the game on its head. Still leaving you relaxed, her attention is instead turned toward hitting you with waves of uplifting thoughts and feel-good vibes. She is the physical embodiment of happiness. The emotion exudes through her flavour profile, saccharine taste, and pleasantly rewarding high. It isn't often that mild potency is a favoured trait. In this case, savouring every last hit is a must, and thankfully, several joints of Sweet Zkittlez can be enjoyed before reaching the point of no return. 15–20% THC is enough to start paving the way for enlightenment, but not enough to have you surfing the cosmos with complete mental abandonment. Early on in the vegetative stage, her distinct aroma starts to build. 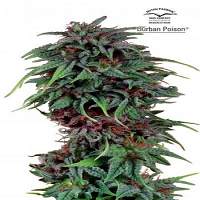 Hints of berry and grape fill the air, while her buds glisten with various shades of green and hints of purple. During flowering, a large central cola forms, supported by several smaller nugs from her outstretched branches. Yields are also impressive, regardless of whether you grow her indoors or out. 500–700g/m² and 400–600g/plant, respectively. Although it seems a shame to cut her down, late September is the ideal time to do so. 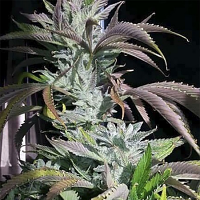 This allows growers to take full advantage of her unique characteristics. Indoors, flowering only takes 7–9 weeks, although it is recommended that she is left until the end of that time frame. 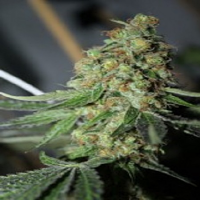 The extra week or two ensures complete development of her terpenes and cannabinoids. You don’t want to lose a single drop of flavour!